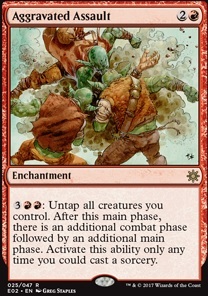 Infinte Combo - New Neheb & Aggravated Assault? : Untap all creatures you control. After this main phase, there is an additional combat phase followed by an additional main phase. Play this ability only any time you could play a sorcery. I have, but mostly for modern and standard. 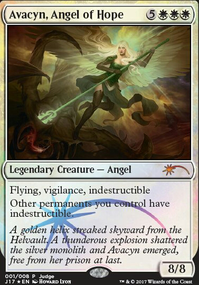 For EDH the new Jace seems good, as does God-Eternal Kefnet if you make it your CMDR. 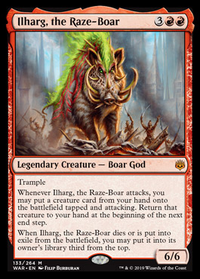 Ilharg, the Raze-Boar / Medomai the Ageless is a sweet combo, Karn/Lattice if your playgroup allows sideboards. Karn seems good in general as another better Null Rod effect. Neoform could see play as would some of the proliferate effects. 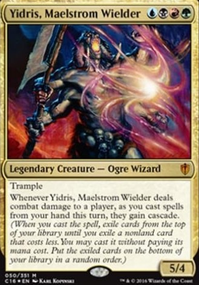 Neheb, Dreadhorde Champion in the Command Zone with Aggravated Assault as a wincon may work too. VesuvanDoppelbanger - No problem, and I also saw your space pirate deck already lol, I liked that too. Like extra combat steps? Want more main phases? Aggravated Assault is for you! If this isn't helpful this is at least what came to mind when I saw your commander lol. What about a Sword of Feast and Famine ? Sword of Feast and Famine + Aggravated Assault is also infinite. Also maybe either Ulamog, the Infinite Gyre or a Kozilek, Butcher of Truth ? They let reshuffle your graveyard into library if you toss them in the discard pile, which is amazing because you won't deck yourself with all the wheel of fortune effects. They're also amazing to use with haste effects.